The Enforcement Directorate in March arrested Tamil Nadu's mining baron J Sekhar Reddy and his two alleged associates K Sreenivasulu and P Kumar for alleged money laundering. 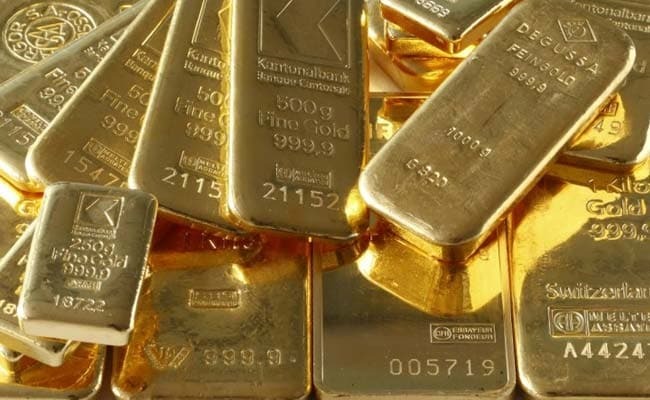 Chennai: Gold ingots and bars weighing 50 kilograms and worth about Rs 14 crore have been attached by the Enforcement Directorate or ED in connection with its money laundering probe against Tamil Nadu sand mining baron J Sekhar Reddy and others. The case was registered after demonetisation in November last year. The ED said it has issued a provisional attachment order under the Prevention of Money Laundering Act or PMLA, attaching the gold it had recovered after searches on the premises of the accused. The total value of the attached gold, weighing 49.48 kg, is over Rs 13.96 crore, the ED said in a statement. "In addition to this attachment, till date, the ED has attached Rs 10 crore in demonetised currencies, 6.5 kg gold bullion, Rs 34 crore new currency and 30 kg gold. The total attachments in this case adds up to Rs 68.5 crore," the ED said in the statement. The ED in March arrested Mr Reddy and his two alleged associates K Sreenivasulu and P Kumar in this case. Mr Reddy was earlier arrested by the Central Bureau of Investigation or CBI in the same case of alleged black money generation after demonetisation. The ED had filed a criminal complaint against Mr Reddy and others based on the CBI's First Information Report, which was registered after the Income Tax Department first searched his premises and those of his associates in November last year. The I-T department has made one of the biggest detection of alleged unaccounted income of over Rs 142 crore in this case with the seizure of Rs 34 crore in new notes and 177 kg gold, post demonetisation. The Mr Reddy case and another involving Delhi lawyer Rohit Tandon are being probed by at least four agencies - the ED, the I-T Department, the CBI and Delhi Police.